The above list is in alphabetical order. 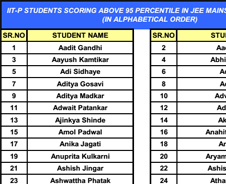 94 of the above students are First Attempters from Pune ! NB	As per media reports, about 200 Pune students cleared JEE ADVANCE. 64 of them are from IIT-P ! 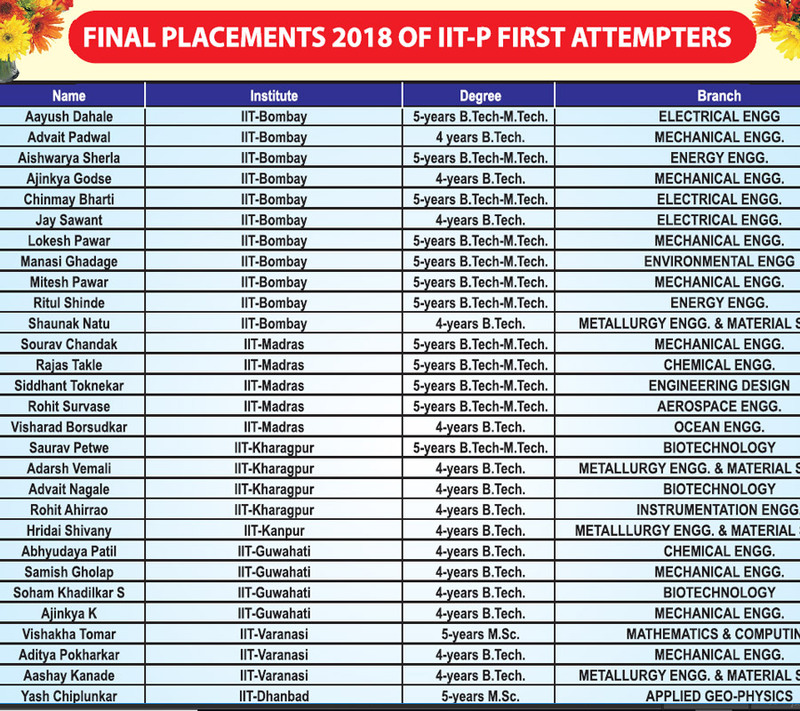 56 of the 64 IIT-P selections are First Attempters and 8 are Repeaters ! 57 of them were from IIT-P alone ! Thus, one-third of all Pune IIT Ranks from IIT-P alone in 2014 as well !!! The above Ranks are from all categories, from all classroom, postal & online program of IIT-P and includes 1st Attempters & Repeaters ! NB Out of about 35000 Pune students who appeared for JEE MAINS, only about 700 qualified for JEE ADVANCED 2014 ! Out of about 700 Pune qualifications into JEE ADVANCED, IIT-P had more than (1/3)rd share of Pune with 244 selections.